Gela Tetradracma, ca. 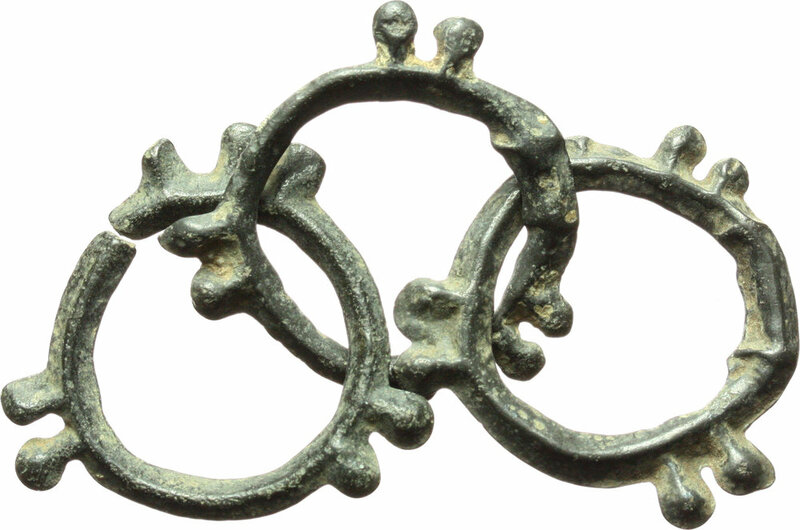 470 a.C.
Sicily. Gela. 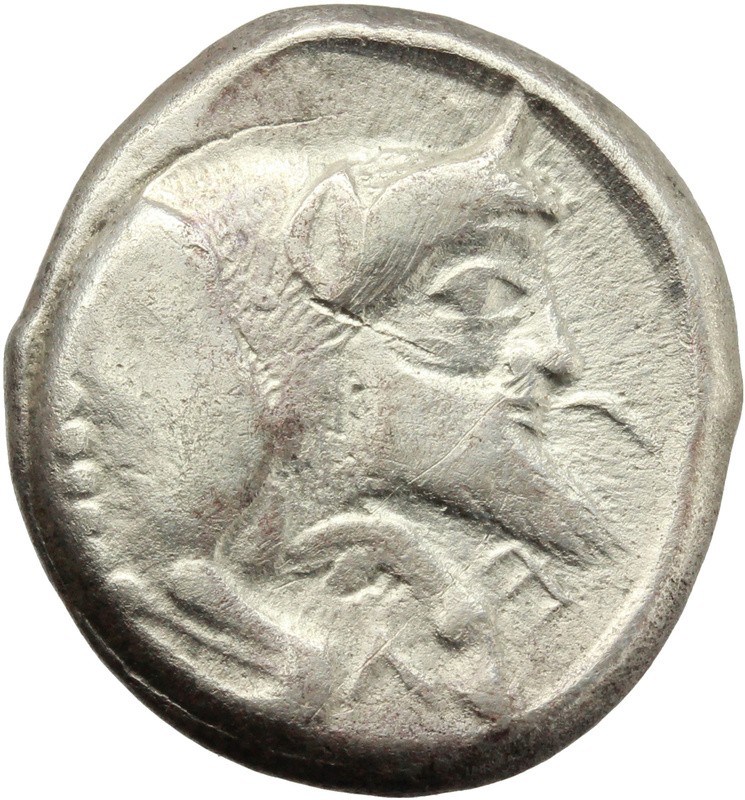 AR Tetradrachm, ca. 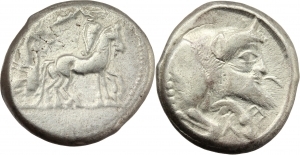 480-470 BC. Obv. 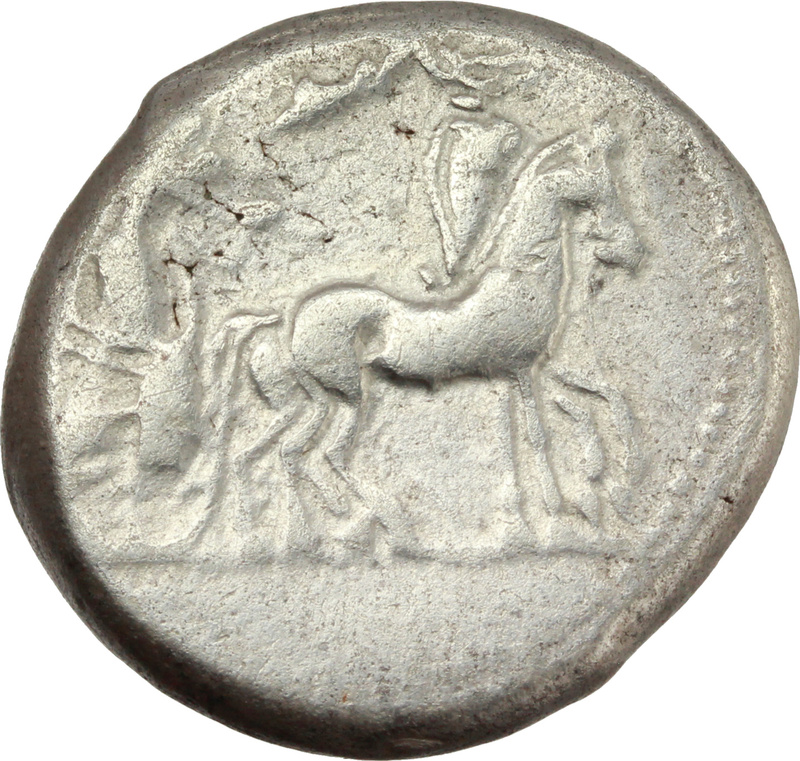 Charioteer driving quadriga right; above, Nike flying right, crowning horses. Rev. CEΛ[AΣ] retrograde. Forepart of man-headed bull swimming right. Cfr. SNG ANS 22. AR. g. 17.08 mm. 23.50 VF.